Each year we see websites crash due to the influx of requests. 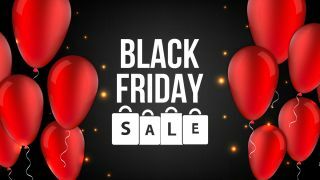 Black Friday is almost upon us and the weekend sales are set to see thousands of shoppers surf the web, and hit the shops, to grab the latest deals in the run up to Christmas. However, each year we see websites crash due to the influx of requests. Already, we have seen Debenhams fall victim to this, with online shoppers struggling to gain access as its site crashed earlier this week. “This year’s attack on Debenhams also highlights the importance of supply chain security in safeguarding customer data, especially for retailers that work with lots of different third parties. Retailers should regularly investigate all partners who have access to customer data to understand exactly who has access and how any given partner's security stacks up against the retailer's own data protection policies. Not only should the retailer continually review and monitor its own security posture and technologies, but it should also have a framework for continually monitoring third parties. This will help ensure that the retailer is not the focal point of someone else’s mistakes."